The Indian rupee hit its fresh all-time low as brent crude oil prices rose back above the $84 per barrel in the international oil market. all-time low of 74.22 hit on October 5 and fell to 74.27 level against the US currency in afternoon trade today. Brent crude oil prices were trading at $84.86 per barrel, up 1.13% from their previous close, putting pressure on the home currency. The rupee fell 21 paise to a fresh all time low of 74.27 to the dollar even after the US currency opened higher by 19 paise at 73.87 compared to previous close of 74.06. 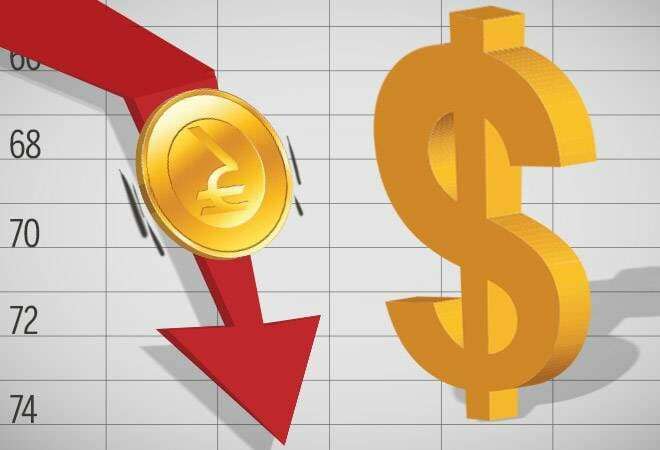 The rupee has fallen 16.64% to an all-time low of 74.27 level intra day (October 9) since the beginning of this year on burgeoning current account deficit, rising crude oil prices and an increase in dollar strength. The US dollar strength against major global currencies weighed on the rupee sentiment. The US dollar index stood at 95.76, up 3.95% since the beginning of this year. Here's a look at factors why rupee fell to its fresh all-time low in trade today. A rise in brent crude prices has also adversely affected the rupee. The brent crude oil price has risen 30.23% from 66.57 level since the beginning of this year. It touched an all time high level of 86.74 level recently. India is 81 per cent dependent on imports to meet its oil needs and is the third-largest importer of crude after US and China. FII outflows have affected the home currency. FIIs have withdrawn Rs 13,778 crore from the Indian market in the last five trading sessions. On Monday, they pulled out investment worth Rs 4,420 crore from Indian capital markets. Overseas investors pulled out a massive Rs 21,034 crore from the capital markets in September, making it the steepest outflow in four months, on widening current account deficit amid global trade tensions. The latest withdrawal comes following a net infusion of close to Rs 5,200 crore in the capital markets (both equity and debt) last month and Rs 2,300 crore in July. Outflow of funds from the Indian market leads to a fall in the value of rupee since there is more demand for dollars from foreign investors after exiting the Indian market. The Federal Reserve raised a key interest rate for the third time this year in response to a strong US economy and signaled that it expects to maintain a pace of gradual rate hikes. The Fed on September 26 lifted its short-term rate - a benchmark for many consumer and business loans - by a quarter-point to a range of 2 percent to 2.25 percent. It was the eighth hike since late 2015. A rate hike by Federal Reserve will lead to a rise in US treasuries yield and act as an incentive for foreign funds to park their money into the US markets since they will get higher returns for their investment. This will lead to foreign fund outflows from the Indian market as rate hike will lower investment returns for foreign investors and prompt them to sell. That will be bad news for rupee since the dollar will become stronger in the global currency market.